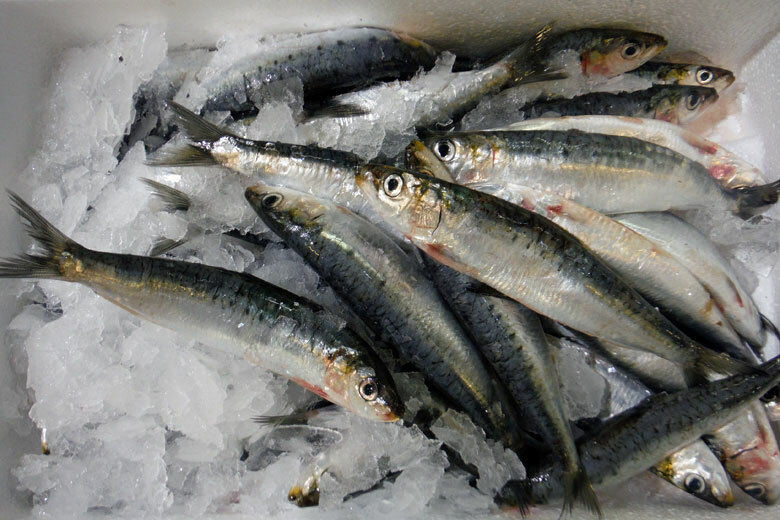 MSC-certified haddock, line-caught in the Icelandic Sea, shucked Shetland scallops, sardines from the south coast and slender esparda from the Med are our pick of Billingsgate this week. Fish-loving TV viewers may have seen Billingsgate Market celebrating harvest festival on Songs of Praise recently. This is an ancient market tradition that has been carried out annually and seemingly forever. The merchants really excelled themselves for generosity this year and the display was one of the best ever, showcasing just how much of our seafood is in peak condition at this time of year – a fine harvest indeed. Catching my eye on the market at the moment are large, competitively priced MSC-certified haddock fillets. These fish have been line-caught in the deep cold waters of the Icelandic Sea and sent direct to Hull for filleting before arriving here. The firm translucent meat is a guarantee of top quality, flavour and nutrition. Haddock is just at the start of its peak right now, so no need to rush – it will be readily available right through until the New Year. I can’t help but pick out the incredibly large shucked scallops from the Shetland. Firm and very plump, these are what are known as “dry” meats: they’re taken straight from the shell, rinsed and put direct into tubs, with no soaking or preservatives involved whatsoever. I was recently in the Shetlands myself and the waters up there are some of finest harvesting grounds around the UK. Scallops have been something of a regular on Fish on Friday lately, but that’s because they are so good, so delicious and versatile – really easy to grill, pan-fry or bake. Sardines (pictured above) are back with a vengeance. Fresh up overnight from the south coastal fisheries, these little bundles of delicious, rich flavoured delight are as cheap as chips. Many people first encounter sardines when enjoying Mediterranean holidays and think that they are only available during the summer period. But availability in the UK is always during the colder months, so now is a good time to enjoy them. 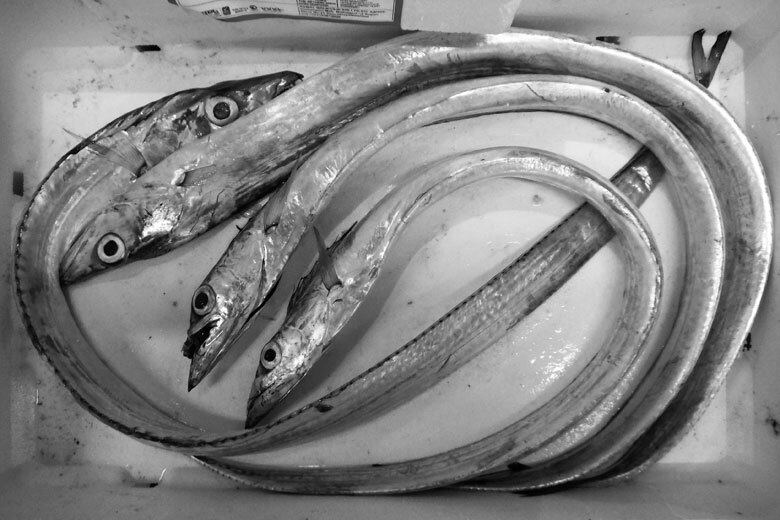 Keeping with the Mediterranean theme, there are some excellent examples of esparda (top), aka scabbardfish arriving from Spanish fishery suppliers. These long slender fish have a smooth, silver foil-like skin that looks almost unreal, while the firm white dense flesh makes great eating when grilled or pan-fried. The price is middling, so you don’t need deep pockets to try them. However, they could be a little difficult to find on the high street, so you may need to order them in.